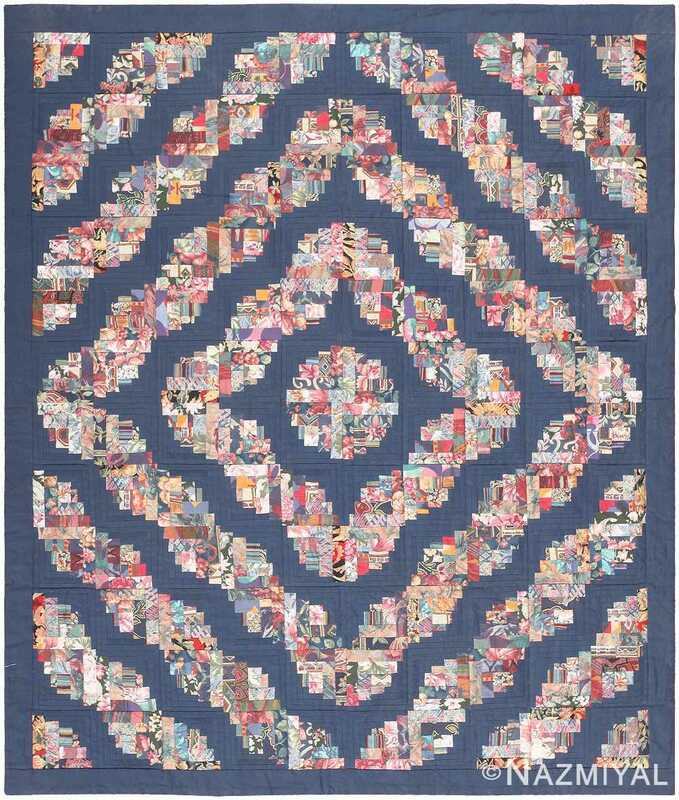 This vintage quilt depicts a spectacular Scandinavian interpretation of the famous log cabin pattern, which demonstrates the creative ingenuity of craftspeople. Vintage Swedish Quilt Textile, Origin: Sweden, Circa: Mid-Century – Known throughout the quilting world for its versatility, the log cabin block is a modular staple that can be arranged to form a wonderful variety of unique patterns. 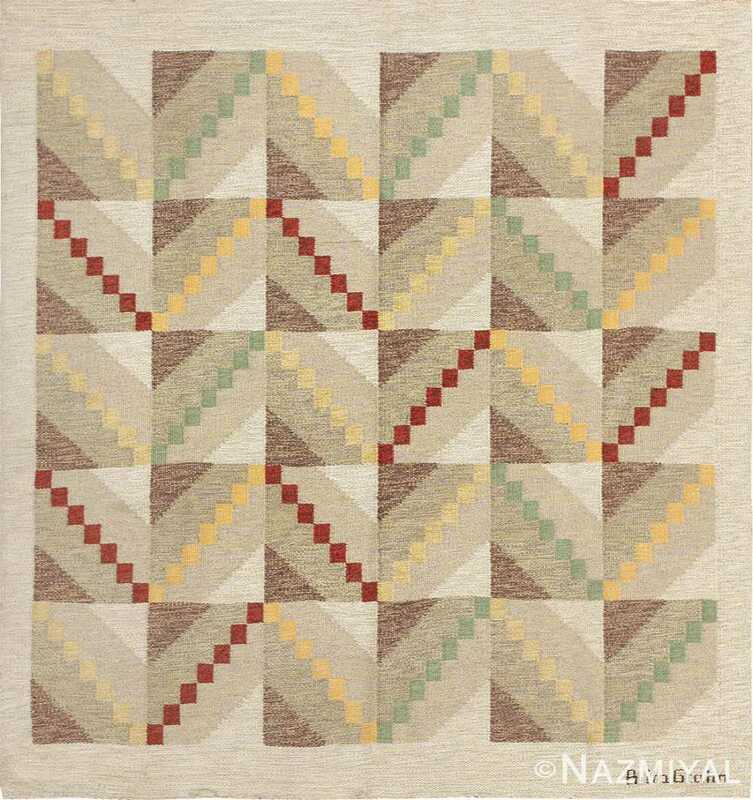 This spectacular vintage rug features bold patchwork blocks arranged in a radiant medallion with undulating contours that set this masterpiece apart from typical log cabin quilts. The high-contrast blocks are split between monochromatic blues and colorful segments containing innumerable scraps and floral prints that leap off of the somber ground. The exceptional composition is arresting in its grand scale and impact as well as the intricate detail of each patchwork strip and colorful print. The sum of the carefully crafted components is impressive yet never detracts from the small details and floral patterns that give the result its texture, color and inviting patchwork appearance. 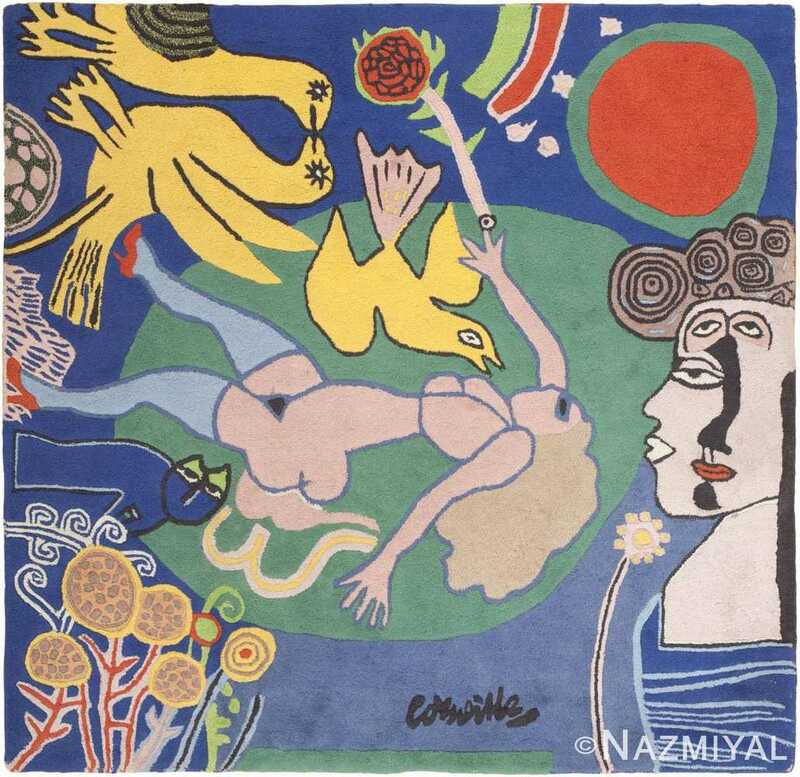 This delightful vintage rug from Sweden features the joyfully symbolic, beautifully colored, innocent and playful designs of the renowned Dutch artist Corneille. 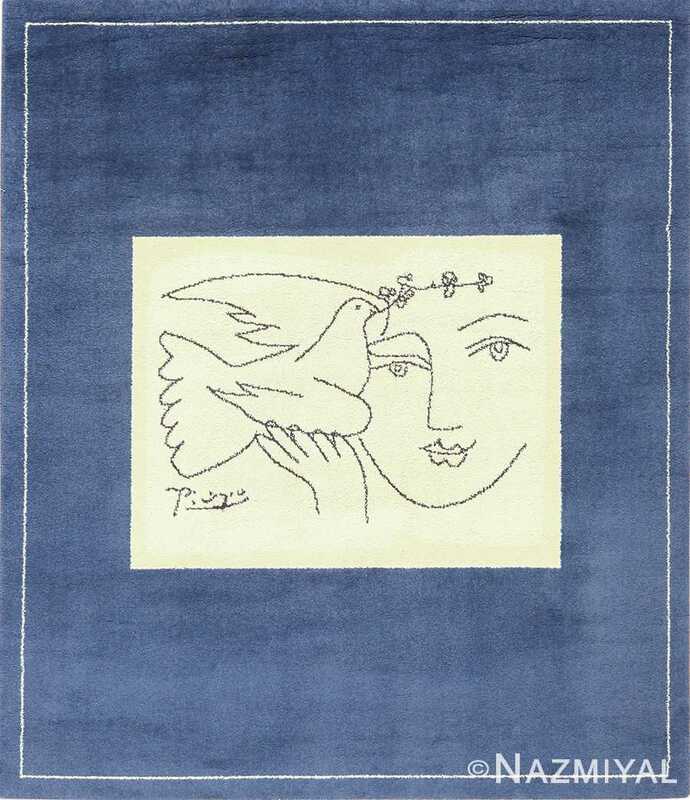 This dynamic Swedish carpet is a fascinating modern composition with undertones of Swedish traditionalism.